Agile Portugal accommodates a wide range of sponsorship interests, ranging from one exclusive Platinum sponsorship position to many affordable Friend sponsorship plans, all of them including free pass tickets to the conference and presence in conference materials. If you want to take advantage of Agile Portugal sponsoring opportunities, feel free to contact us at sponsors@agilept.org and we will be happy to work with you to suit your particular needs. 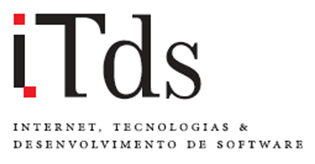 iTds (Internet Tecnologias e Desenvolvimento de Software) is a software development company based in Portugal focused on the Agile Programming paradigm. iTds is also responsible for developing and maintaining the XEO framework, both as the open-source product and the enterprise version, as well as providing enterprise services around XEO (such as support, training, XEO-based Products and XEO-based development). 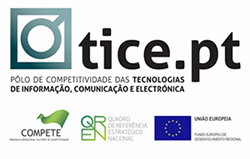 TICE.PT — Portuguese Competitiveness and Technology Pole for Information and Communication Technologies, was formerly recognize by the Portuguese Government in 17 July 2009, within the scope of the Strategies for Collective Efficiency, financed by the Portuguese Strategic Reference Framework (QREN). The TICE.PT vision is: Place Portugal, until 2020, as a World reference in the ICT — Information and Communication Technologies, Sector. TICE.PT overall strategy for achieving the Vision: Build a concertation platform that involves and mobilizes the ICT Portuguese key actors, in the processes of innovation, R&D, technology transfer, advance professional training and qualification, production and commercialization of products and services, marketing and internationalization. 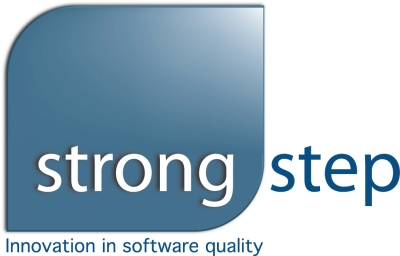 Strongstep is a company specialized in software engineering that contributes to the improvement of software quality in the world Our action is based on pragmatic principles of efficiency and excellence, supported by an experienced team, by the use of best practices and with established partnerships with worldwide reference institutions. We help organizations in the improvement of their software development processes through the implementation of practices that address people, processes and tools, taking a pragmatic and results-oriented approach. We want to induce a change in your organization. This will represent a step with a strong, sustainable and innovative focus – a strong step! I2S is an insurance software company, specialized in creating, developing and implementing software solutions with a high level of flexibility and integration for the insurance global market – GIS. Established in 1984, I2S is a software company leader in Portugal with 58% of all insurance premiums and has successful cases in 3 continents, 7 countries and 29 clients, including international corporate accounts, counting on a highly qualified team with extensive insurance domain knowledge. GIS is a total solution covering all insurance lines of business and all insurance parties – life and non-life insurance companies, brokers and agents, claim adjusters and pension fund managing societies – providing faster time-to-market through user empowerment – self-service customization. Grupo@work is a group of companies operating in different areas of the Information Technology arena, such as ERP Solutions, Human Resources, Business Intelligence, Cash Solutions, IT infrastructure, Outsourcing and Cloud Computing. Present in Portugal and Brazil, our goal is to serve companies that operate in one or in both markets, where we expect to act as an effective value added Partner. With origins dating back to the eighteenth century, the University of Porto is currently the largest education and research institution in Portugal. Close to 31,000 students, 2,300 teachers and researchers along with 1,700 administrative staff attend its 15 schools and 69 scientific research units, spread across 3 university campuses located in the city of Porto. DevScope is a young, dynamic and experienced company, specialized in mentoring and development services. We are proud to be on the cutting-edge and helping Microsoft’s customers adopt the latest technologies. DevScope is an early adopter in many products and solutions, so, often is part of TAP (Technology Adoption Programs) and later on the “Beta” teams, to evaluate and test Microsoft’s products, before they are widely distributed in the market. It means customers reap the benefits of faster implementations, reduced risk, and significant cost savings. Collective experience and deep knowledge of Microsoft enterprise technologies helps our customers get the most out of their investments. DevScope is Microsoft’s Gold Certified Partner. ParadigmaXis specializes in the development and integration of software systems dedicated to the processing of spatio-temporal information. It develops high quality solutions, using software engineering best practices and reusing standard components. The combination of eXtreme Programming, Software Reuse, Object-Orientation and Literate Programming, is crucial for the success of the solutions that it develops. Amongst its clients is the Nato Consultation Command and Control Agency (NC3A), for which it is developing components for NATO’s command and control system. Tecla Colorida::Software Educativo, Lda is a startup company incubated at P.INC/UPTEC/U.Porto, in Portugal, that is focused on the development of new learning environments for digital natives and their own social circles, namely families, classrooms, and schools. Tecla Colorida has been developing and disseminating escolinhas.pt (2009) and schoooools.com (2011), a simple and intuitive collaborative and social platform that satisfies these growing needs of for new ways of learning/teaching, supporting: more interactivity, social learning, informal learning, learning with games, co-creation of new digital media (online newspapers, web radio, web TV), end-user participation, and personalization. 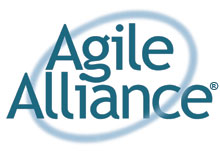 The Agile Alliance serves the global Agile community. With more than 5557 members located around the globe, it is driven by the values and principles of the Manifesto for Agile Software Development. They support those who explore and apply Agile principles and practices to make the software industry productive, humane, and sustainable. To promote Research and Development work for the advancement of Computer science and to support good practices on Informatics Engineering activities. Agile events, training and consulting. Airgile is a Cloud based platform for managing teams, projects and tasks. Currently available in English and Portuguese, it was designed to optimize the management and orchestration of teams. It’s a powerful but agile management solution that features an extremely intuitive user interface and real-time synchronization. It’s available in a SaaS model, with attractive prices, featuring also a free plan for small businesses and students. We’ll announce soon the support for some SCRUM features, namely Sprint Planning and Burndown Charts, so stay tuned. Agile Portugal 2011 is offering a promotional code for Airgile. Simply write “agilept2011” in the field for “promotional code” when creating a new account, and you will receive a credit of 20€. Seegno is a development team specializing in solutions that require technology, design and creativity. We’ve worked on a variety of projects with partners all over the world, including web applications, mobile applications, corporate identity, design and online strategies. In no Port house is the inherited tradition of winemaking skill and knowledge more evident than at Fonseca Guimaraens, where the wines have been made by the same family since its foundation in 1822. The Fonseca Guimaraens house style is one of richness and warmth, with a lush fruit intensity and a structure of both dimension and finesse. More voluptuous than massive, Fonseca Ports are coveted for their sumptuous yet refined body and great longevity. Sage provides business software, services and support to small and medium sized businesses. Whilst our heritage is in the small business market we also have the experience and expertise to meet the needs of specific industries and larger organizations. We are a global company with more than 6 million customers, over 13,600 employees and more than 25 years of experience working with small and medium sized businesses. We provide an extensive range of solutions which make it easier for our customers to manage their business processes.